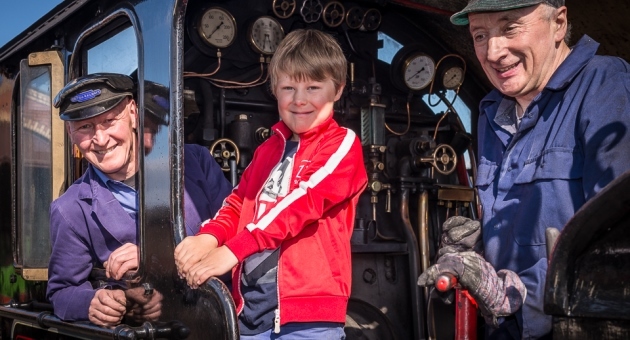 Full steam ahead for great family fun over Easter weekend. Join us for some seasonal fun on our popular Easter Egg special trains on over Easter weekend. The journey from Bo’ness to Manuel takes around 70 minutes but all tickets are Day Rovers so you can hop on and hop off as many times as you like. Stay all day and explore the Museum, Model Railway and the railway site via our Visitor Trail at Bo’ness and our stations and halts along the line. As a special Easter treat, all children, including under 5s, travelling on the Bo’ness & Kinneil Railway will receive a complimentary tasty Easter treat. In keeping with the nostalgic theme of our heritage railway, children should wear their Easter bonnet to be in with a chance of winning a prize, judging takes place on the train. Train tickets are available at our standard prices which are £10 adults, £9 concessions, £6 children, under 5s are free and a family ticket for two adults and up to three children is great value at £28. Why not add a visit to the Museum of Scottish Railways to your day out, buy it with your train ticket for only £2 per adult or concession and the Museum offers free admission for children. A steam train will leave Bo’ness at 10.45, 12.10, 14.10 and 15.35 on all days and the Museum is open 11.00-16.00 (last admission 15.30). You are welcome to bring your picnic and enjoy it at our picnic areas at Bo’ness outside the Model Railway carriages, or take it on the train with you and break your journey at Kinneil Halt or Birkhill. Also at Bo’ness, The Station Buffet will be open offering its usual delicious selection of hot and cold food, drinks and ice creams, and the Gift Shop has a range of items to suit all members of the family. There’s no need to pre-book, unless there are more than 12 of you and then you get discounted tickets, see here for group information. We look forward to welcoming you aboard!